In 1992 Felix moved to Brighton, where he spent his time throwing parties and after hours at the beach, before setting up his first record label Ugly Music in 1996 with friend and local record shop owner Tony Lee. Ugly released music from Chicago’s K-Alexi, Da Posse and Underground Evolution as well as remixes by DJ Harvey and Britain’s unsung Mr.Fingers Jaime Read . Running a record label often leads into own productions, edits and remixes, and that’s what (Foolish) Felix did after his relocation to London. Under a string of aliases and collaborations with Read (LHAS Inc.), as Foolish and Sly, Das Etwas, The Mythical Beasts or Dedication, Dickinson made a name for himself as a producer, while navigating his new label Cynic on top of it all. 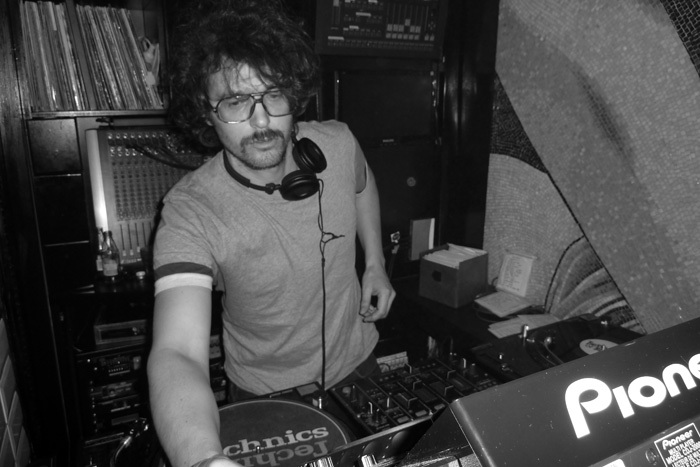 The Felix brand of house and disco can also be found on a slew of other labels including Eskimo, DFA, Rush Hour, International Feel, and Crue-L. His re-edits skills were enjoyed by the likes of Horse Meat Disco or Keep It Cheap, and compiling one part of the critically acclaimed Originals series on Claremont 56 just shows his well-rounded selector mind. Balearic deep dub disco house with a hint of acid. Strawberry fields forever.